NIS stands for Network Information Service.NIS is also called as YP. YP stands for Yellow Pages. NIS is a lookup service for set of databases. 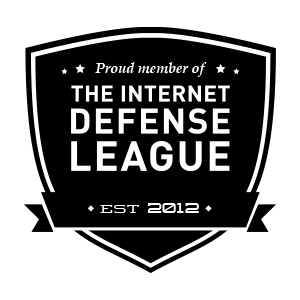 The databases in this cases can be a passwd file, group file, hosts file, etc. 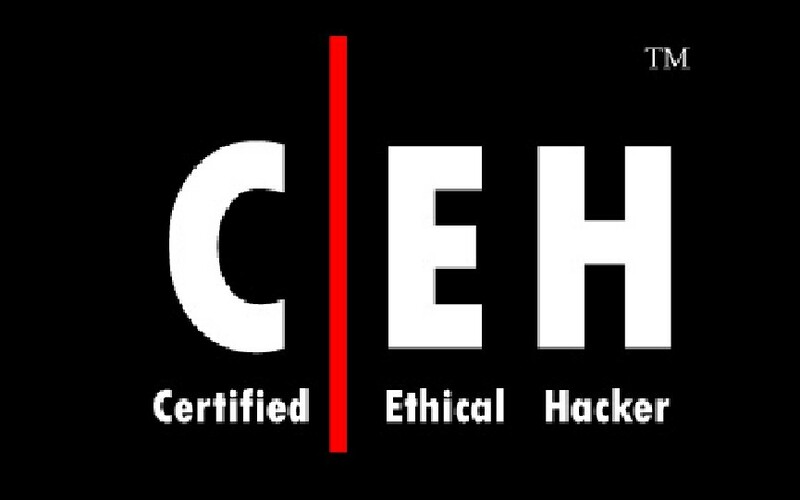 This is primarily used as a central repository to hold all username and passwords (i.e /etc/passwd), and different servers can authenticate against this server for the username and password. This is very helpful for system administrators who has to manage several servers. Instead of creating useraccount for your users on each and every Linux servers, you can just create the account on one server that is configured to run NIS server. 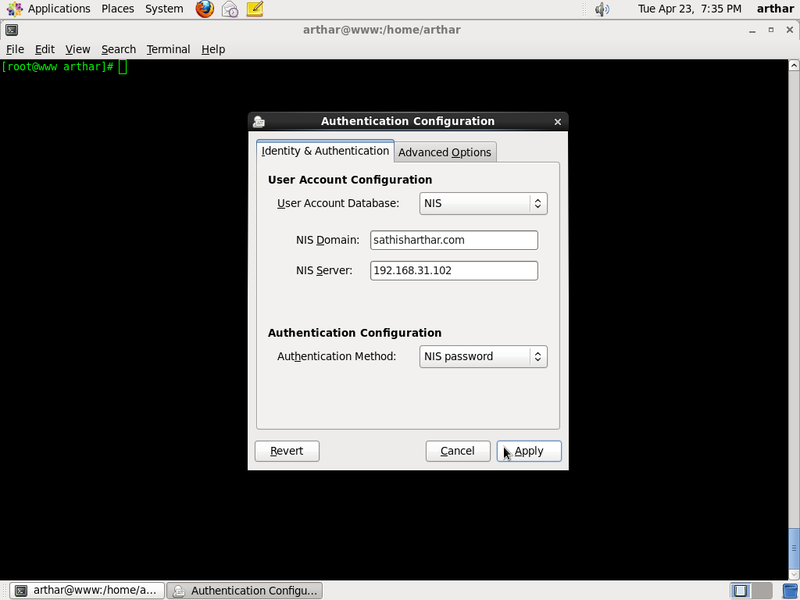 All other servers can be configured as NIS client, which will authenticate against this central NIS server repository. Check to see whether the ypserv is registered with the portmap as shown below. The above output indicates either ypserv is not installed, or ypserv is installed but not started yet. The following quick check indicates that the ypserv is not started yet. Set the NISDOMAIN in the /etc/sysconfig/network file as shown below. Start the ypserv as shown below. 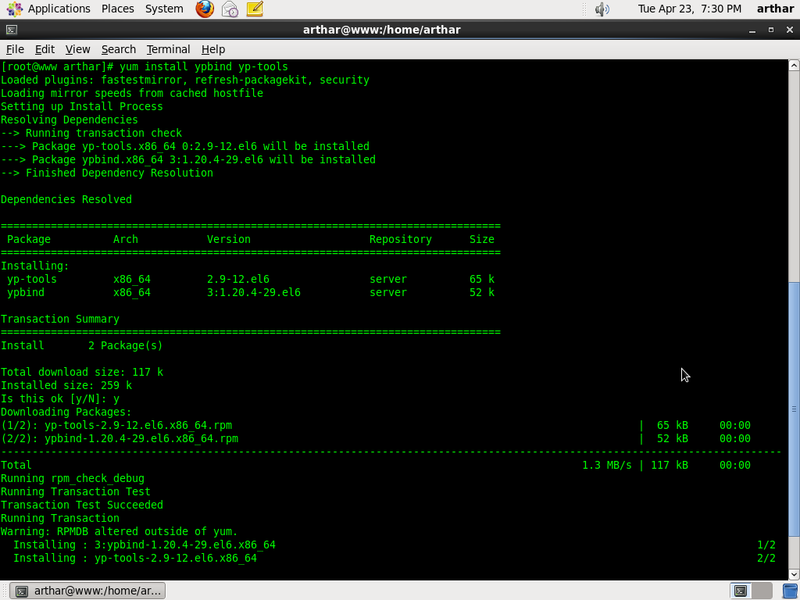 Once the ypserv is installed and started, it is time to generate the NIS database. All the NIS database are stored under /var/yp directory. Before you generate the database you will not see the directory for your domain name under the /var/yp. Generate the NIS database using ypinit program as shown below. 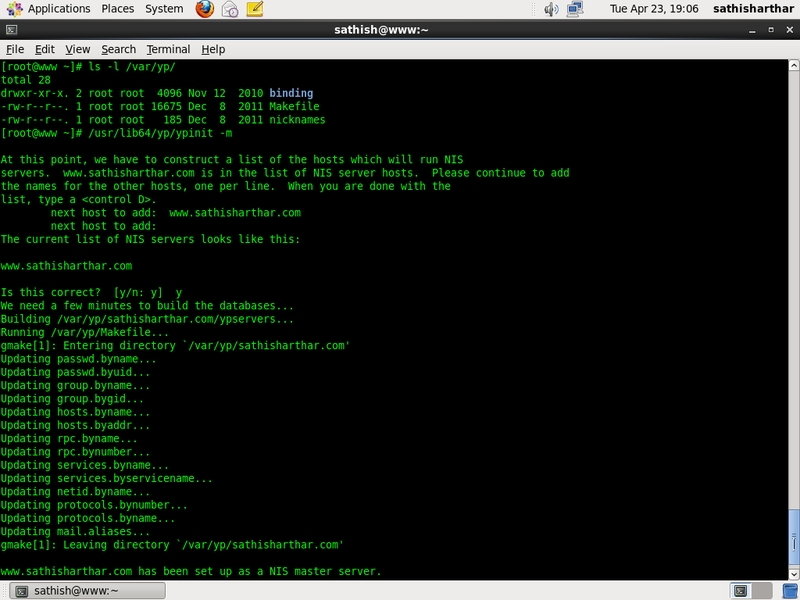 You just have to enter the hostname of your NIS server to generate the database. Anytime you make a change (either updates to the Makefile, or changes to a database). For example, when you add a new user, or modify an existing user account, you should do the following. Without this, the changes will not be reflected to any of your NIS client. Verify the NIS server installation by checking whether the passwd file can be accessed using the ypcat NIS client program. You might get the above error message because ypbind might not running on your system. Just start the ypbind and verify the configuration. If you don’t like to display the encrypted passwd field in the ypcat passwd output, set the MERGE_PASSWD to false in the /var/yp/Makefile as shown below. After you do the above, the ypcat passwd command will just display a ‘x’ in the passwd file. Everything worked, except for the user not being able to see their home directory, /home/nisuser. Because of this, nisuser is dumped in the / directory. This can be fixed by using autofs to automatically map the users home directory when they log into a NIS client. 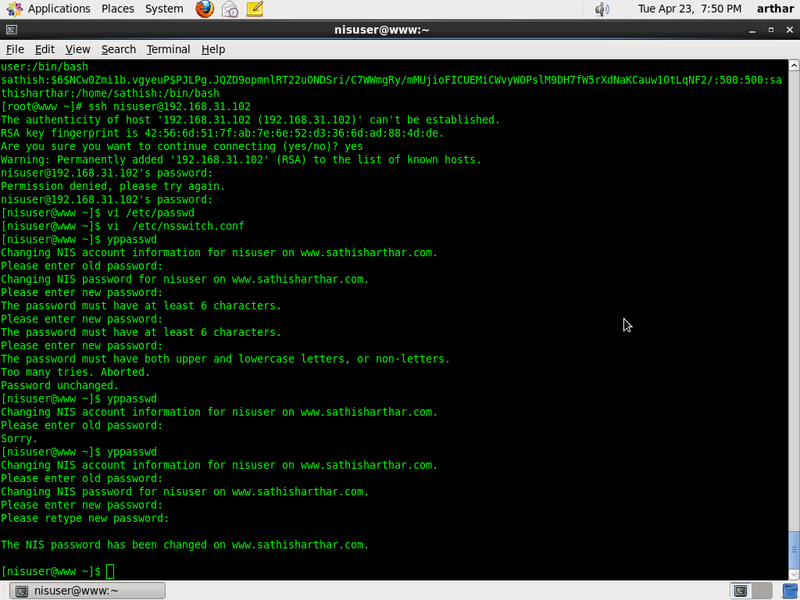 Changing NIS password for nisuser on sathisharthar.com. The NIS password has been changed sathisharthar.com.